Teradata utilizes Parsing Engines (PE) and Access Module Processors (AMPs) in which they call VProcs. These refer to virtual processors or VProcs. Each AMP and PE lives inside the memory of a Node. 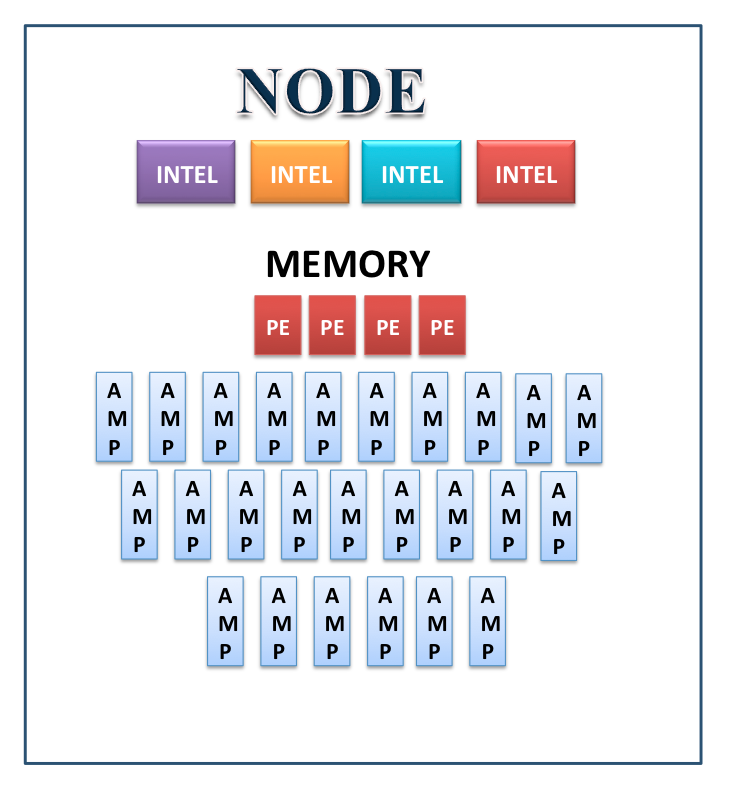 There are anywhere between 25 and 35 VProcs inside each node. Think of a Node as a giant Personal Computer. One that has 4 Intel Processors that work and act as if there were 8 Intel Processors. This node also has up to 16 GBs of memory. The VProcs get loaded inside the Nodes memory and then we connect this node via the BYNET with all the other nodes and now we are part of the Teradata warehouse.